As wind power technology is advancing, harnessing wind power in Iceland is becoming an interesting and economical option. The Icelandic national power company Landsvirkjun recently started operating two 900 kW Enercon wind turbines, close to its hydropower stations in the area of upper Þjórsá river. The project is part of Landsvirkjun’s research and development project on the advantageous of wind power in Iceland. 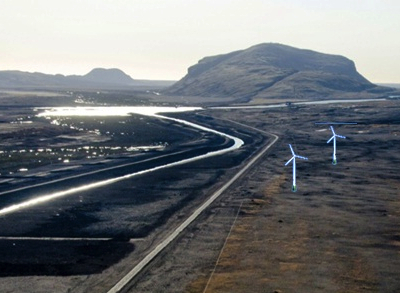 These are the first large wind turbines in Iceland. This interesting experiment has offered valuable information on the feasibility of wind power in Iceland. Operation and maintenance costs were studied along with availability-percentage of the turbines in the windy and sometimes harsh Icelandic nature. The reason why the two wind turbines are located close to the hydropower stations is mainly twofold: First, the area is very windy, making it a feasible location for such technology. It may even offer a capacity factor close to 50% which is exceptionally high for an on-shore wind farm. Secondly, there is good access to the grid. These wind turbines became operational in early 2013. Today, about three-quarters of Iceland’s electricity is generated by hydro power stations, and most of the remaining quarter by geothermal plants. There are still numerous economical options available in both hydro- and geothermal sources. 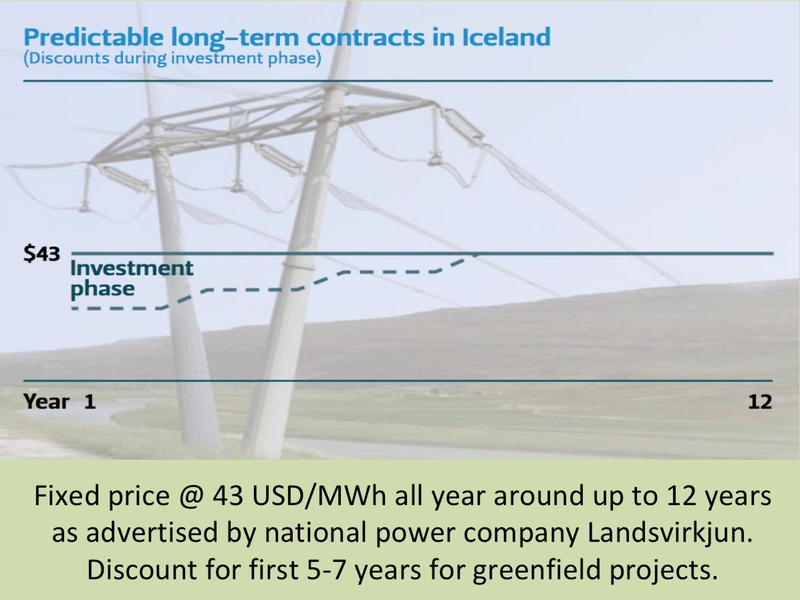 However, due to rising cost of new geothermal projects and increasing economics of wind power, it is likely that electricity generated by wind power will soon become competitive in Iceland. If plans of a submarine high voltage electricity cable between Iceland and Europe become realized, there will be even stronger drivers for harnessing wind power in Iceland. As the price of electricity in Western Europe is in general much higher than in Iceland, exported wind power generation in Iceland could become very feasible, depending on cost of transport and transmission losses.